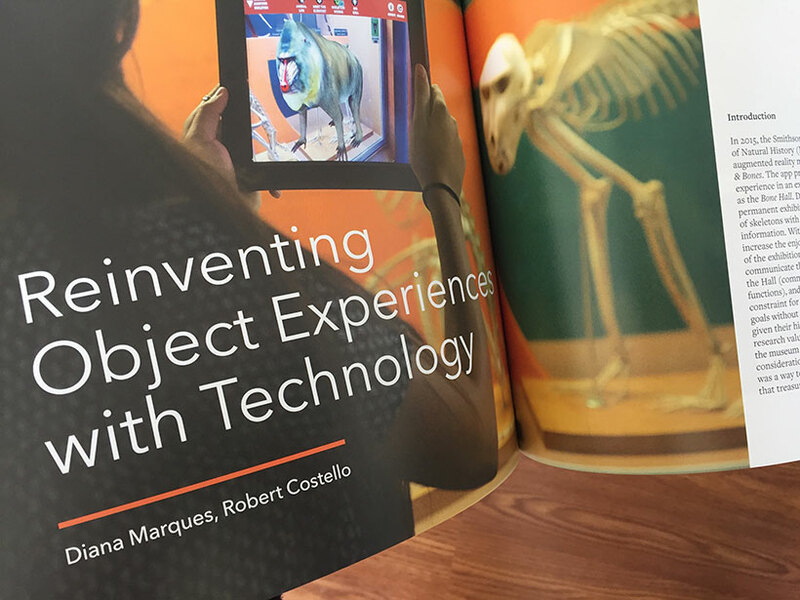 The article “Reinventing Object Experiences with Technology” has been published in the Journal Exhibition. This beautifully designed and highly informative journal is the work of the National Association for Museum Exhibition, under the umbrella of the American Alliance of Museums. This issue is entirely dedicated to ‘object experiences’ and our article discussing visitors’ experiences with the skeleton collection at the Bone Hall via augmented reality technology fit perfectly with the theme. Look for the abstract on the Publications page. Yesterday I met students from the Science, Health, and Medicine cohort of the Women’s Leadership Program at George Washington University. 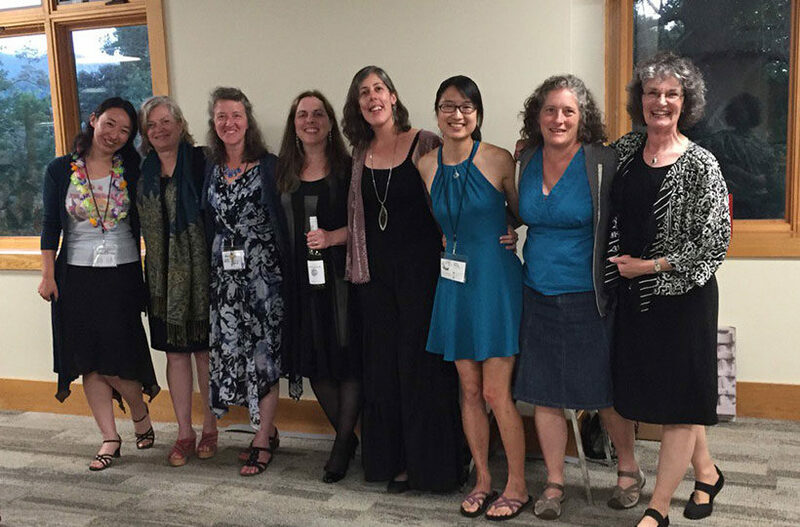 This living-learning community of first-year women has a focus on building skills in leadership and communication within the context of their academic interests. And this year the students expressed interest in how science may be communicated visually, extending me a kind invitation to speak to them about my work and my career. It was a delight to share my experiences and learn about their passions and their plans for the future! The article “Augmented Reality: the new kid on the block” has been published in the Journal of Natural Science Illustration issued quarterly by the Guild of Natural Science Illustrators. 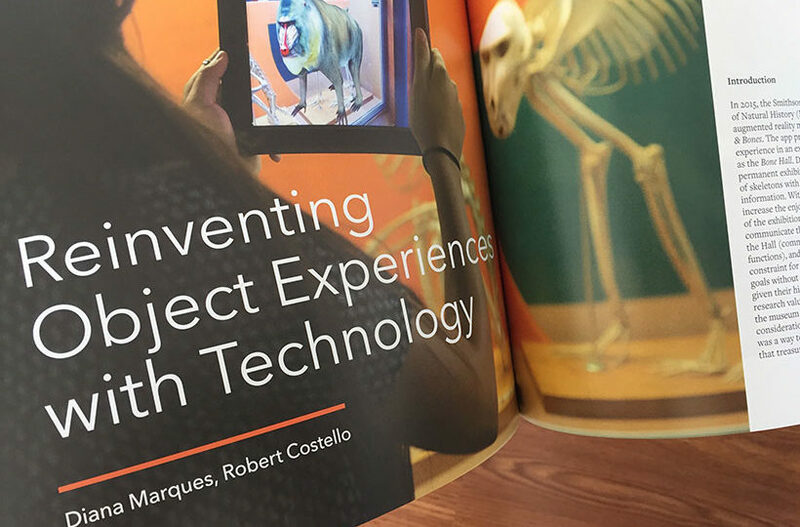 The article is a written version of the workshop I taught at the GNSI Annual Conference in Asheville NC and provides an overview of AR technology and why it can be of relevance to science illustrators. Look for the article on the Publications page. 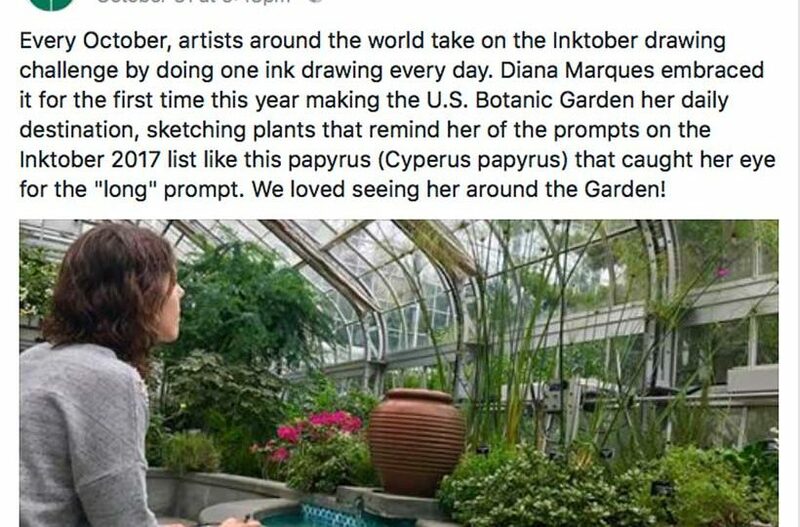 Every October, artists all over the world take on the Inktober drawing challenge by doing one ink drawing a day the entire month. 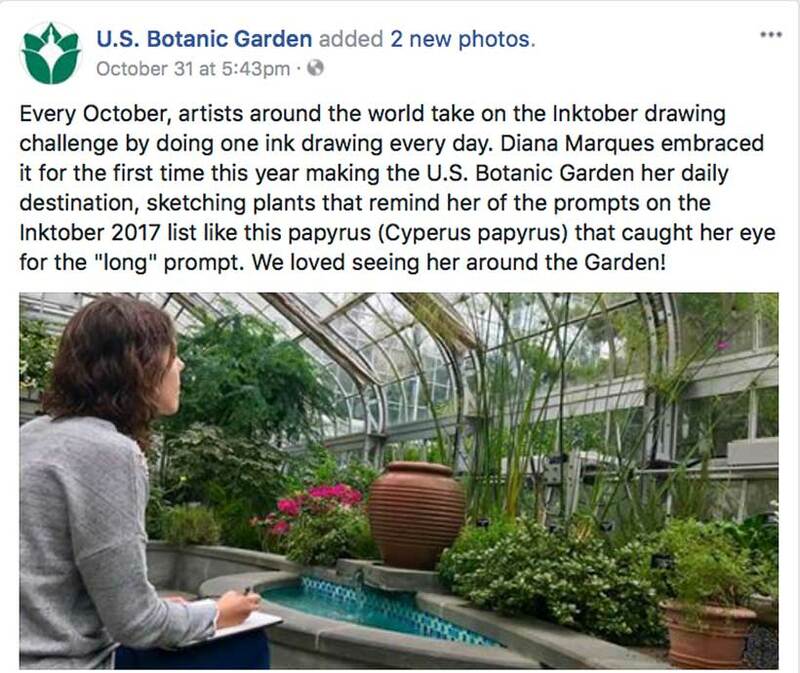 I embraced it for the first time this year making the U.S. Botanic Garden my daily destination and sketching plants that remind me of the prompts on the Inktober 2017 list. The USBG staff was extremely welcoming and posted a nice note on their Facebook page. They also invited me to do a public lecture about the project which was very well received by all attendants. See a sample of the 31 drawing set on the Portfolio page. The most recent exhibition at the Smithsonian’s National Zoo is the Electric Fishes Demonstration Lab at the Amazonia House. The multisensory lab is home to a 5-foot-long electric eel, capable of generating up to 800 volts of electricity, and a number of other species of electric species. It was a pleasure to be involved with the development of this exhibition from its early stages and create a number of content pieces in different media. One of the most popular displays is a bronze life-sized model of an eel built as an approximation of a 3D digital model that I created. When visitors hold the head and the tail simultaneously, their bodies complete a weak electrical charge and the model fish vibrates. When the model is idle the screen above plays a video I edited using real footage of the Amazon river basin; upon the completion of the circuit in the model, visitors see an animation video that I created to illustrate the uniqueness of the bodies of electric eels. Elsewhere in the exhibition are panels with my illustrations and two additional animations that emphasize the differences between pulse and wave types of electric fishes. See a sample of the content created on the Portfolio page. I will remember the day of July 7 (7-7-2017!) for a long time – the day that I successfully defended my PhD in Digital Media. My deep appreciation goes to my advisor at the University of Porto, Professor José Azevedo, and my co-advisor at the Smithsonian’s Natural History Museum, Robert Costello. 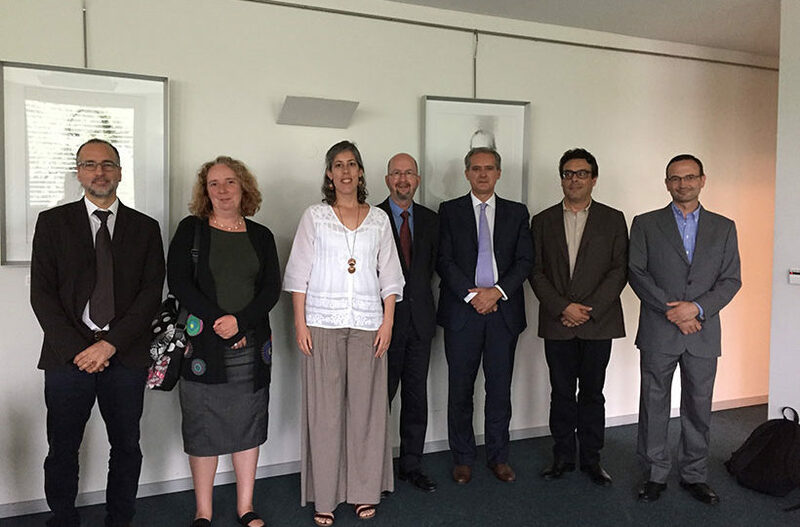 I am also grateful for the insightful comments and discussion promoted by the jury at the defense: Professor Pedro Casaleiro, Professor Ana Delicado, Professor Nuno Correia and Professor António Coelho. Read about my doctoral studies at the Research page and download the thesis at the Publications page. 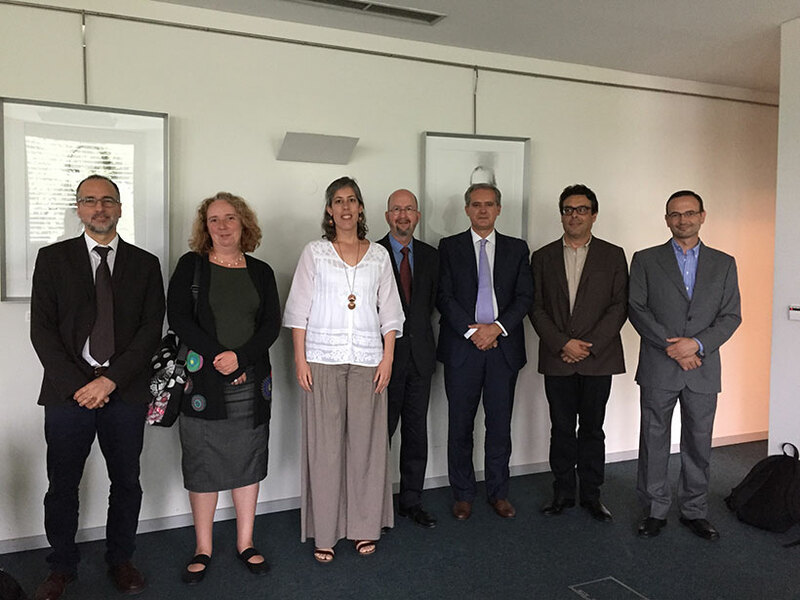 The Global Portuguese Scientists (GPS for short!) is a network of Portuguese researchers working all over the world connected through an online platform that promotes communication and the interchange of knowledge. I was part of their series of interviews that highlights researchers on the GPS platform (in Portuguese). One more Museums and the Web conference, this time in Cleveland OH. Always a great gathering of museum professionals, very inspirational! I contributed a presentation and peer-reviewed paper in the proceedings, discussing part of the findings from the doctoral research. 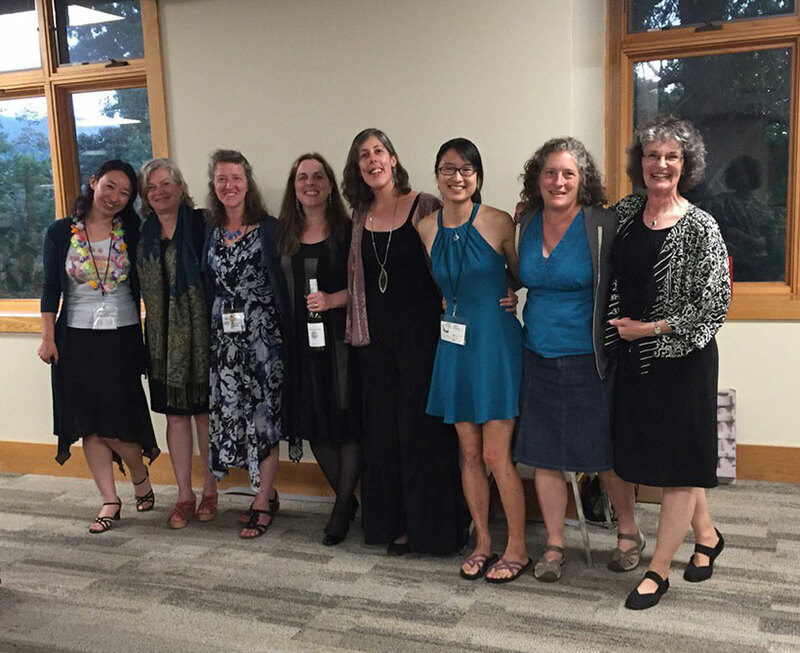 Find the article on the Publications page.